Many of the videos on this website are hosted within Royal Holloway, University of London’s Figshare repository. The repository works in a similar way to a video sharing website like YouTube. However, it is designed for the long-term storage of videos as well as text documents and data. Unlike YouTube, there are no advertisements on Figshare, and our data is guaranteed for a longer period of time. 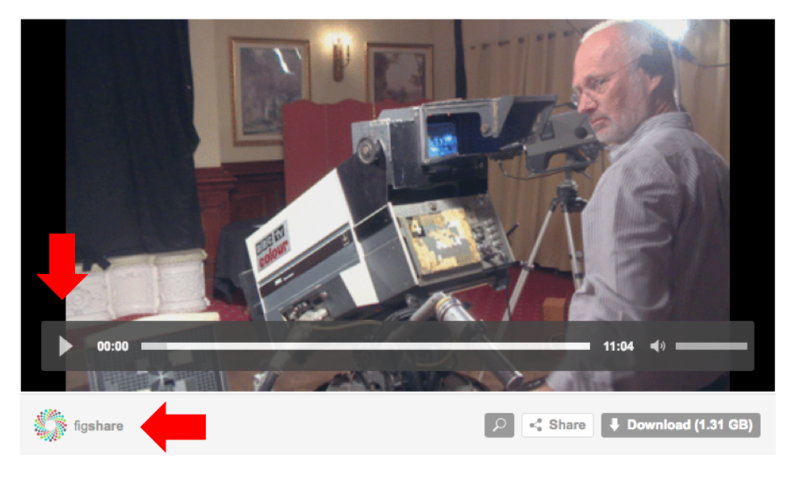 You can play videos on this website without leaving the page, simply by clicking the ‘play’ button (indicated by a red arrow on the image below). The arrows indicate the location of the “play” button and of the Figshare logo. 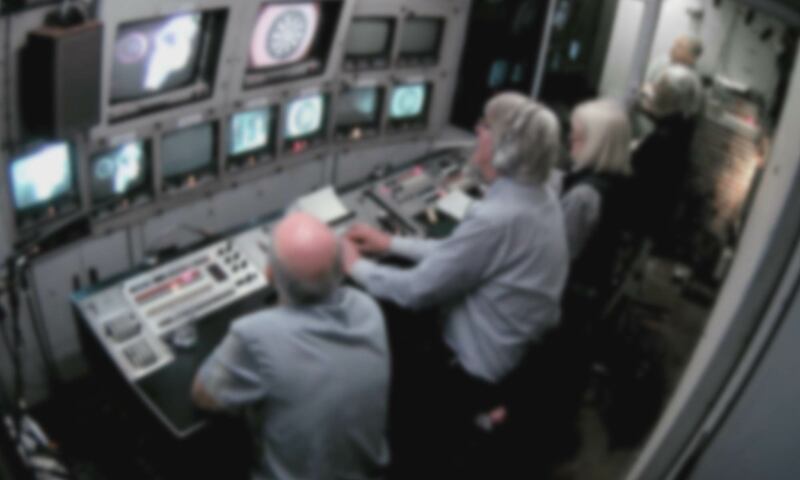 Click on the play button to play a video without leaving this website. Click on the circular Figshare logo to open the Figshare repository website in a new tab or new browser window. However, you can also search our complete Figshare collection clicking on the circular Figshare logo wherever you see it on the site. Clicking this button will open our Figshare collection in a new tab or new browser window, enabling you to search for videos and other material. Figshare videos have a stable URL which will not change over the years, so you can safely link to the repository from your own website or social media feed. Figshare videos are also available to download in line with the Creative Commons Attribution 4.0 International License and a complete catalogue of the videos, complete with titles and URLs, can be viewed or downloaded here. When you are ready to return to this website, close the Figshare tab or window. The Figshare repository contains all of the videos on this website and more besides. Links to Figshare open in a new tab. If you want to return to this website, close the Figshare window or tab. 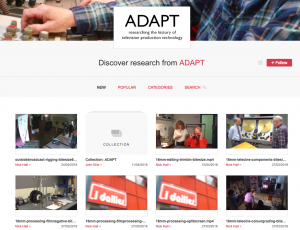 If you have any questions or comments about this site’s use of the Figshare website, please email us at adapt@rhul.ac.uk.